In times that can feel harrowing, the future is only as secure as the opportunities afforded to youth today. If anyone knows this to be certain, it's the great people over at Woolrich, the iconic brand of American outerwear and workwear coming through with the goods for 187 years. In an effort to safeguard the rising class of people going into the media arts, the staple of American sportswear is putting rising talent directly in the spotlight. Highlighting the beauty and power of young creatives for its spring 2019 campaign, the prolific brand cast a group of students direct from the classrooms of NYU Tisch School of The Arts. In the dynamic images captured by Jack Davison and styled by Mel Ottenberg, the diverse cast of students and faculty radiate promise and style. Sourcing the cast from the film, drama, dance, music and photography departments of the famed school, the campaign is steeped in reverence and a commitment to investing in the future by starting with the now. 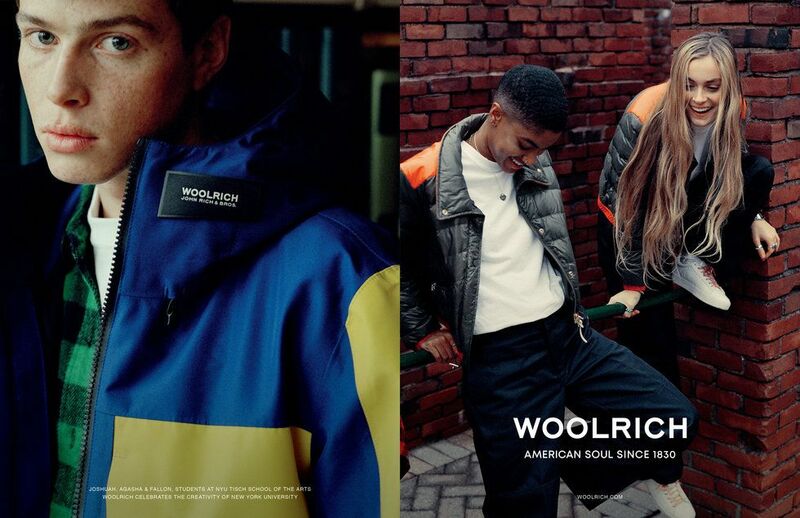 The 'Woolrich: American Soul Since 1830' campaign combines Woolrich's rich heritage with NYU's notable purple logo in a clever mashup of aesthetics that go together like bread and butter. 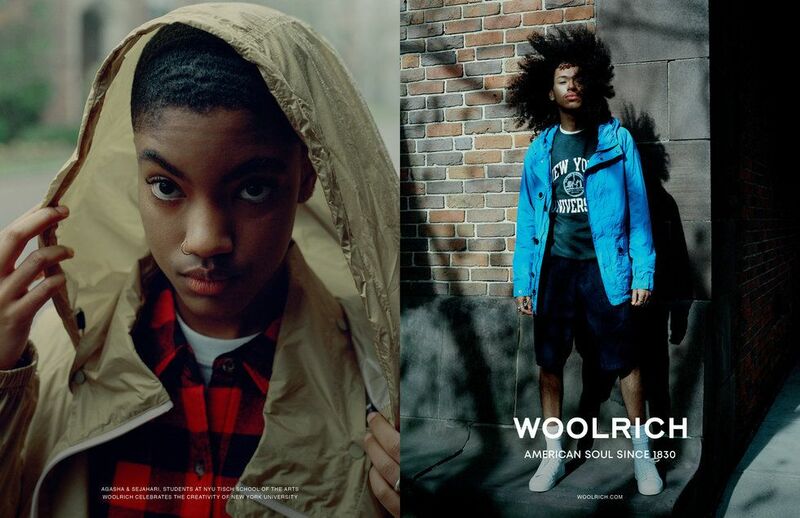 The creative director for Woolrich, Andrea Cané, said in a press release, "Showcasing the next class of visionary artists in this series of images and short videos will immortalize [the students'] talent for generations to come. As a brand, we are proud to work with such gifted individuals who are pushing the boundaries of creative thought." 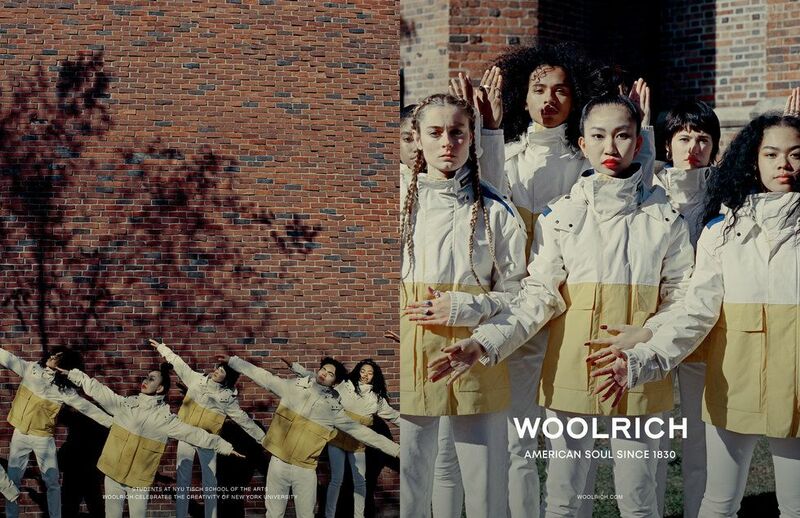 In addition to spotlighting the emerging talents in their campaign, Woolrich is providing a grant to the NYU Tisch Future Artists program. The immersive experience for underrepresented high school students lasts 14 weeks and widens the reach of arts education. Check out the cast of real-life students modeling the threads of the season and the vision of tomorrow, below.